This week I received two freebies that were pretty darn fantastic, so I had to share the goodness here! I feel like either things have changed substantially in the past 4 years since I was last pregnant, or maybe I just didn't know as much about these things back then as I do now. Either way: yes, please, to the freebies! It's nice when you receive something that feels like it's actually worth it, and not just something that will add more clutter to your life. 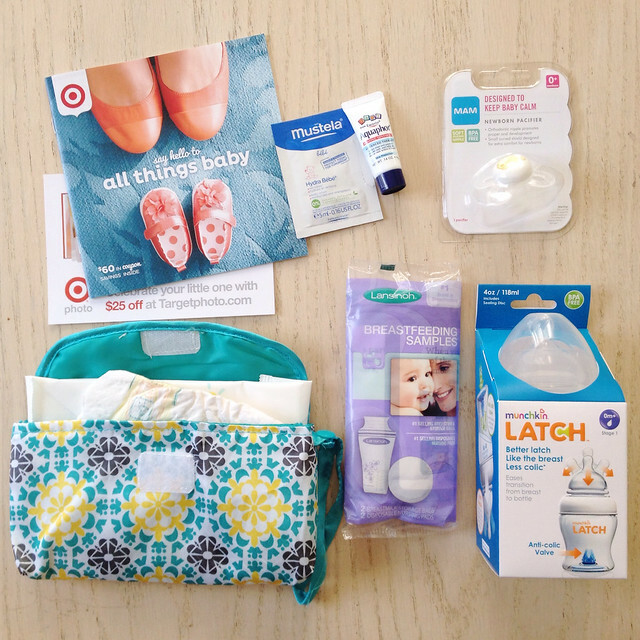 First up: Target's Baby Registry welcome bag! Not too shabby, right? I am tempted to even keep the adorable reusable bag it came in. It's the perfect size to tuck into the car with some necessities. 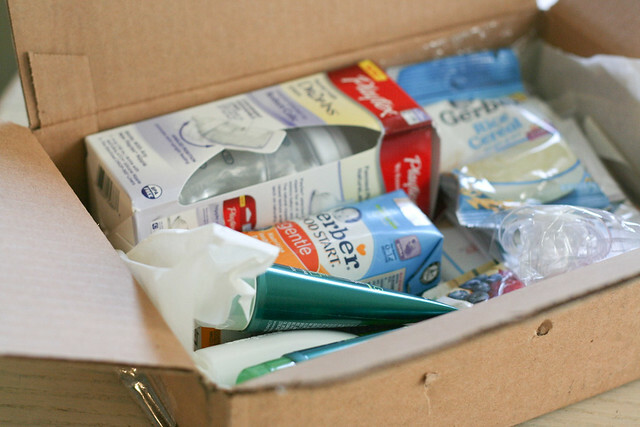 Next up: Amazon's baby registry welcome box! I just found out this offer recently expired (I was hoping my box would arrive before the cutoff date, but no such luck!). Still, I will definitely let you know if/when I hear of it being offered again. I actually found out about this freebie though Amazon Deals Blog, which is a good one to follow if you shop on Amazon often. But, anyway! To qualify for this freebie, you needed to first be either an Amazon Prime or Amazon Mom member. (Jay and I hoarded Amazon gift cards last Christmas so we could afford a year's membership to Prime. I just discovered that if you're a Prime member, you also get Amazon Mom benefits for free! Made me happy.) I had to create a baby registry with a handful of items, then follow a specific link and use a promo code to get the welcome box for free. The listing price of this welcome box was at $50 before the promo code, which I think we can all agree was ridiculously inflated. But I'm sure they had it that high to keep this item as a (mostly) exclusive freebie for those who qualified and were interested. I definitely hope they offer it again soon, because I think the items I received were pretty generous for something completely free! 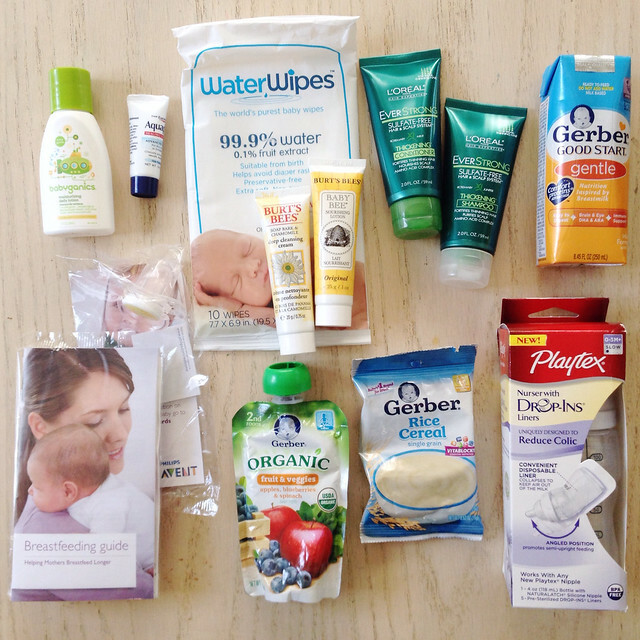 After receiving these items, I'm curious: Do any of you know of any other fantastic mama-to-be freebies? Please share! And I'll be sure to let all of you know if I come across any further goodness. I know Buy Buy Baby has great gifts when you register with them, though I'm not sure what the value is worth, and Honest Co let's you pick up to 8-9 items to sample for $15, so while not free, I know quite a few of my momma friends enjoyed the bundles they picked! Excited for you and your family. 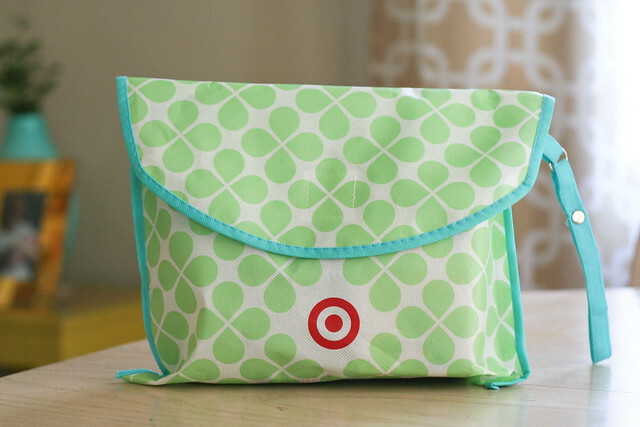 I love that little bag from Target. I use it when we're traveling and I need something to put all his littles in - nail clippers, travel shampoo, etc.